The Danny Craig Foundation supports family and friends affected by the severe weather and tornadoes in Central Illinois. 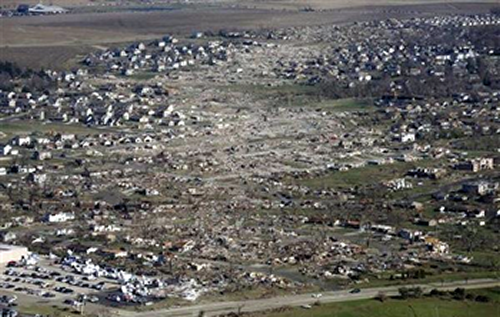 The tornado that hit the Washington, Illinois area destroyed nearly 100 homes and caused many injuries. Half of the students in the local middle school are now homeless. We are in contact with the local community foundation to determine the areas of greatest need, and we have worked to set-up an on-line donation option through the Danny Craig Foundation. Any support you give will go direct to meet basic needs of the children and their families in Illinois who are affected by the storms. DONATE TODAY! Children are truly our most precious commodity and those with special needs give us a rare opportunity to receive the greatest of gifts – knowing that you have made a difference in someone’s life. The Danny Craig Foundation was started in 2010 to identify, screen, and carefully administer funding to organizations that deal directly with research or other life impacting projects that answer the sense of urgency felt by all those involved in the lives of children coping with medical challenges. Oversight by a lay advisory board consisting of business leaders from throughout the country and a medical advisory board consisting of medical experts in their fields ensures responsible fiscal management of donor funds and careful selection of supported projects. Donors can be reassured that the money raised is going to tangible efforts that have the greatest possible impact. No donor funds are used for administrative expenses. 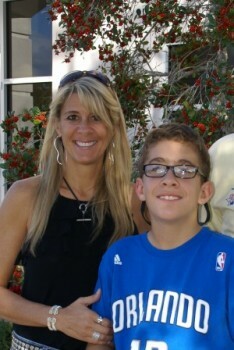 The Danny Craig Foundation is committed to helping children in need, no matter what the need. Help us bring Prader-Willi Syndome to the White House! We reserve a very special place in our hearts for the St. Mary’s Home for Disabled Children as they are a truly special place for special children. We are forever grateful! Do you know a child who is living with a medical condition that is now incurable? Are you facing challenges with traditional medical treatment and care? Have you tried alternative therapies to address the symptoms of a child’s medical condition? We are here to help. Through The Danny Craig Foundation, we hope to provide funding for research and health programs that can be the breakthrough to help children live more independently in the years to come. Tell us your hopes and dreams. Caring community leaders, parents, and medical experts help guide the Danny Craig Foundation to ensure the greatest possible impact. The Danny Craig Foundation depends on the generous support of donors to help deliver the necessary support to programs helping children live the best life possible.